In Data warehouse dimension modelling is used. 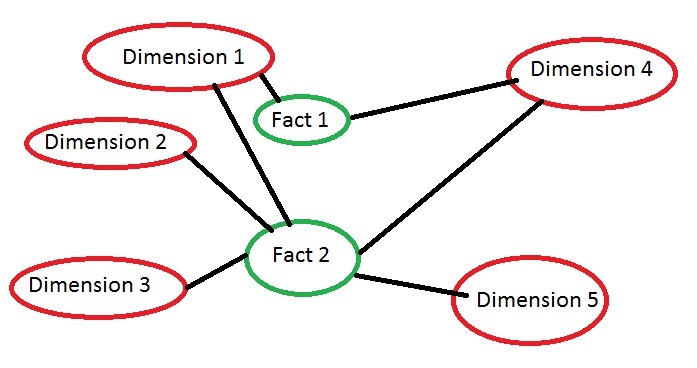 Dimension model is designed using fact and dimensions. 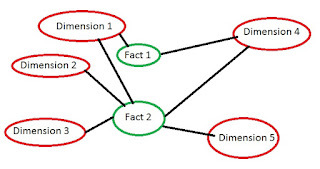 There are 3 types of schemas used in dimension modelling. 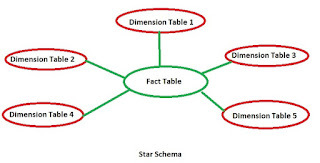 In star schema center of the star is fact table and corners are dimension tables. In star schema dimension tables don't have parent tables. 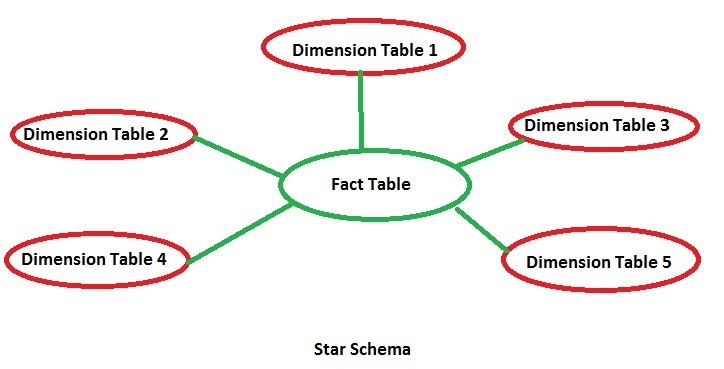 In star schema dimension tables are denormalized. It is efficient in query processing. 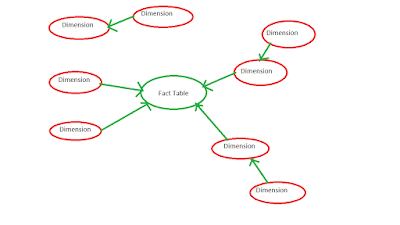 In snowflake schema dimension tables have one or more parent tables. Snowflake schema efficient in transaction processing. 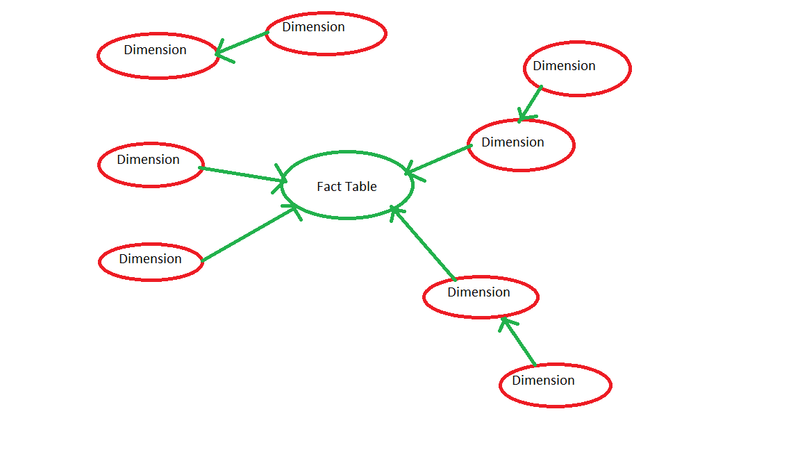 Multiple facts tables connected with multiple dimension tables. Also referred as multi star schema.